1. a style of popular music of US black and Hispanic origin, featuring rap with an electronic backing. 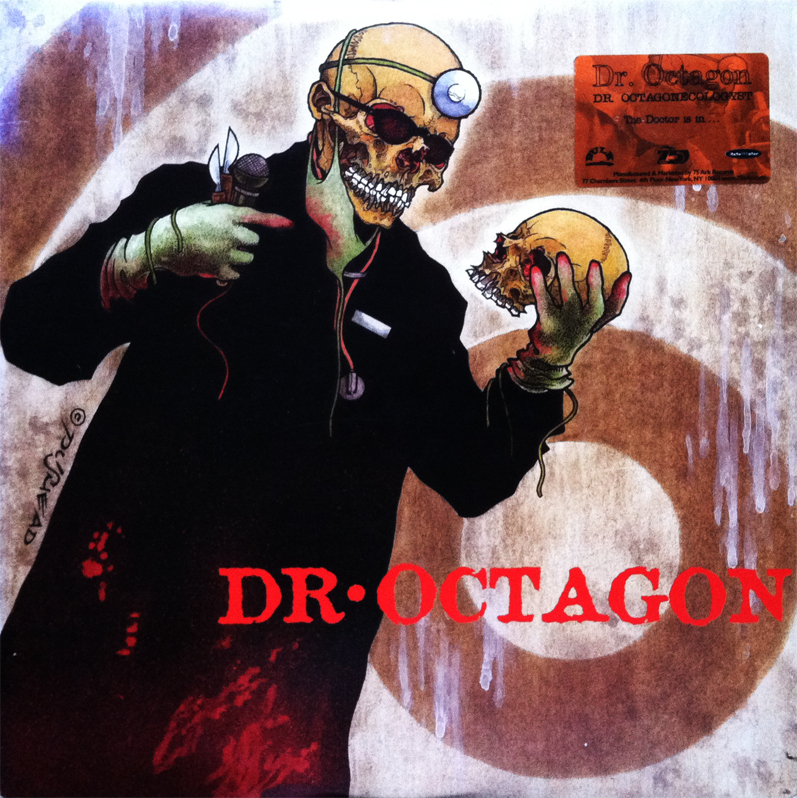 Dr. Octagon is an X-rated barrel-shot through the grotesque-minded brilliance of the lyrical magician Kool Keith, backed with the autonomous production of the genre-bending (never breaking) Mr. Dan Nakamura (AKA Dan the Automator), mingled with the turntable chemist DJ Q-Bert (as well as a slew of genteel guest stars). 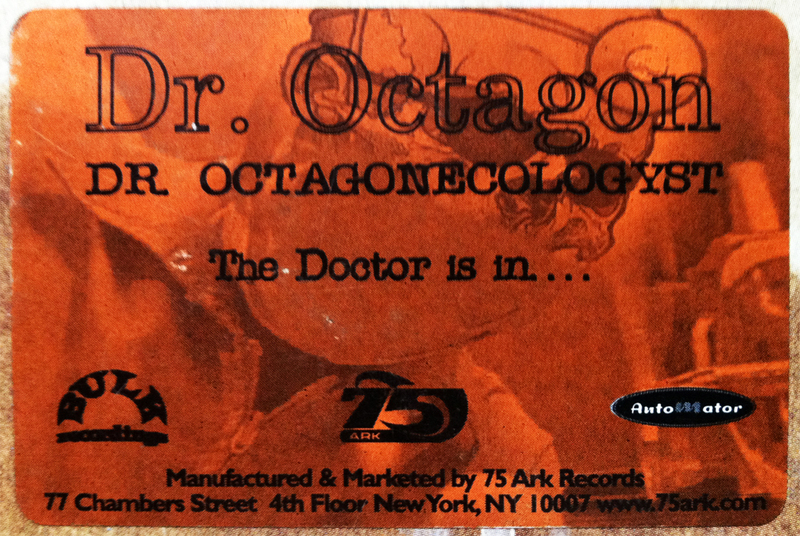 In short, Dr. Octagon is the last doctor you’ll ever need, because he’s the last doctor you’ll ever see. Your mother would not approve of this disgusting display of Hip-Hop-ery. What would qualify as “your mother’s Hip-Hop” you ask? The doctor is out… call back after midnight to make an appointment with the receptionist.